The first Discworld picture book! (and it’s for adults). 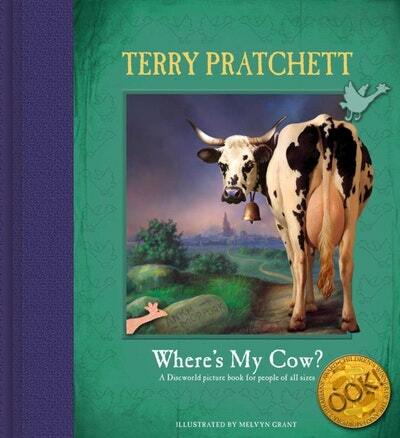 At six o’clock every day, without fail, with no excuses, Sam Vimes must go home to read Where's My Cow?, with all the right farmyard noises, to his little boy. There are some things you just have to do. It is the most loved (and most chewed) book in the world. But his father wonders why it is full of moo-cows and baa-lambs when Young Sam will only ever see them cooked on a plate. He can think of a more useful book for a boy who lives in a city. So Sam Vimes starts adapting the story. It turns into a story with streets, not fields; a book with rogues and villains. A book about the place where he’ll grow up. Love Where's My Cow?? Subscribe to Read More to find out about similar books.